When the weather is warm, drivers are bound to see motorcycles on the road. Motorcycles can be a lot of fun and can even save you money on gas. If you've been thinking about getting a motorcycle, there are a few important things you should know first. So let's take a look at a few Nevada laws regarding motorcycles. Just like cars and trucks, motorcycles are required to have at least one headlight, a red tail light, and a brake light. Additionally, motorcycles should have reflectors and working turn signals. And, of course, motorcycles are required to have functioning brakes, a muffler, and a horn. When it comes to helmets, motorcyclists are required by law to wear them. Helmets must be worn by both drivers and passengers on motorcycles and if the bike doesn't have a windshield, protective eyewear is also required. So before you jump on your bike, make sure helmets are in place and all of your lights are working properly. Before operating a motorcycle in Nevada, you must have a credible Nevada motorcycle driver's license. Or if you have a license from another state, it must be a Class M license. This license can be obtained after completing a motorcycle operator course and the DMV's test for motorcycles. Once a license has been obtained, motorcycles must obey the same traffic laws as other drivers. However, it is important to know that motorcycles can't ride next to a vehicle in a singular lane, can't pass vehicles in the same lane, and can't ride between vehicles. But overall, motorcycle operators have the same driving responsibilities as other drivers on the road. Unfortunately, motorcycle accidents are all too common. And because of the lack of protection bikers have, accidents can often result in serious injuries. 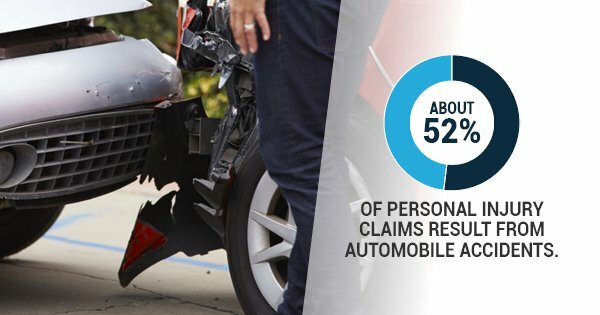 With about 52% of personal injury claims resulting from an automobile accident, it's important to seek the help of an accident attorney if you were involved in an accident on your motorcycle. Motorcycle accidents can lead to expensive medical bills, lost wages, property damage, and more. So if you find yourself in the aftermath of a motorcycle accident, you should consider contacting a personal injury lawyer. An attorney can help build your case to increase your chances of receiving compensation for the accident.If you're planning on getting a motorcycle in the near future, keep this important information in mind. And always remember to drive safely and responsibly to stay as safe as possible on the roads.